Looking for that perfect gift and want to support small business? Look no further! I am highlighting some of my most favorite shops and the amazing makers behind them. Why shop small you ask? Because you are directly affecting the people who run those shops. You are helping put food on their table, clothes on their backs, and a roof over their head. When you shop small, you are making a positive impact on the people that are busting their bums to follow their passion. Check out the amazing makers (I truly adore each and everyone of these fabulous people) and their shops below. And please consider shopping small all year round! Nancy makes thee most adorable wooden ornaments I have ever seen! They aren't just for decorating trees either. I actually place them around my house to make it look simple yet very festive. Nancy is currently creating cute cozies where all profits are donated to charity. Click the name above to take you to her website for cozies. You can also follow her on Instagram at fromnancysheart. Liz creates gorgeous works of art that are disguised as jewelry. I am not big on jewelry usually as I can never find anything that fits my ever-changing style. However, Bent Fine Jewelry has pieces that I can not live without now. Click the name above to take you to her website. You can also follow her on Instagram at bentfinejewelry. Rachelle from the extraordinary Nose Prints Art brings to life portraits of your pet. I am truly in awe every time I see her paint these masterpieces that are sure to take your breath away! Click the name above to take you to her website. You can also follow her on Instagram at noseprintsart. Michelle is a ceramics genius. I will fully admit that I haven't been known to be into pottery. However this girl is now a lover of all of Michelle's creations. The colors, the weight of her items (so much lighter than what you normally find which I adore! ), and the designs are phenomenal! I'm looking forward to adding to my collection this year. Click the name above to take you to her website. You can also follow her on Instagram at lessismoreceramicdesign. Anne designs some of the most amazing pieces of jewelry that both my daughter and I love. I am very simplistic when it comes to jewelry. And AFD delivers such meaningful and empowering pieces. Click the name above to take you to her website. You can also follow her on Facebook at annefranklin. Rocky Mountain Love Clothing Co.
Cynthia is a brilliant designer. She has some of the cutest CO inspired clothing I have ever seen. Most CO specific clothing I come across isn't as cute as I would like and doesn't fit my style. However, Rocky Mountain Clothing Co. has changed all of that. I LOVE her designs and her accessories leave me drooling. Click the name above to take you to her website. You can also follow her on Instagram at rockymountainloveco. Diane is the creator of all things bluedye. Her hats are thee cutest things ever! So much so I always see people wearing them at every market I go to because everyone adores them. Diane also has a few other cute accessories on her website. So what are you waiting for, go check her out?! Click on the name above to take you to her website. You can also follow her on Instagram at bluedye_. Crest & Stone is an adorable small shop run by an adorable couple! They combined their backgrounds in engineering and design to produce gorgeous creations with concrete. 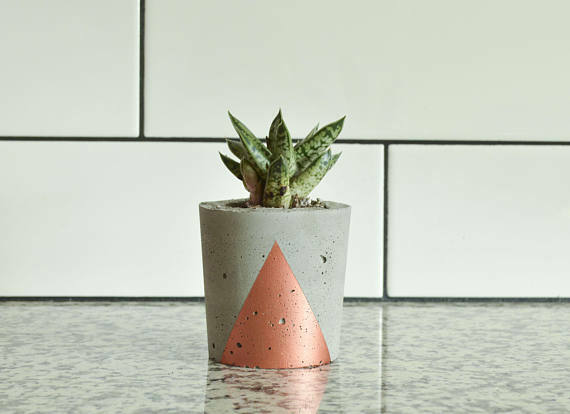 Their decor is fabulous and their concrete planters are drool-worthy. Click on the name above to take you to their website. You can also follow them on Instagram at crestandstone. Rachel is an artist and illustrator of inspirational art gifts for your inner child. 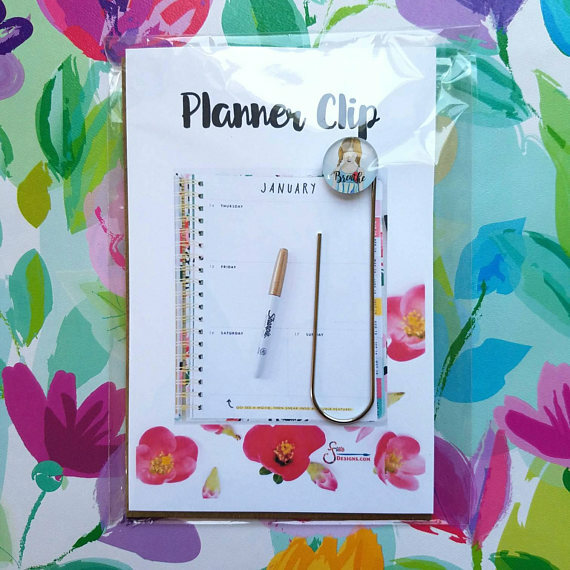 Her drawings are amazing and I cannot live without her planner clips! Literally they save me so much time. I use them everywhere. Rachel also has greeting cards, vinyl stickers, key chains, and so much more. Click the name above to take you to her website. You can also follow her on Instagram at rfia. Of course I have to put my all-time favorite skincare shop in here too! ;) Hahaha! Seriously though, your skin will thank you for using all the natural goodness in my products. They refresh and renew. Pampering never felt so good. If you ever have any questions send me an email. I'm happy to help in anyway I can. :) Click on my name above to take you to my online shop. You can also follow me on Instagram at avjorden. I’ll update as the year goes on to add other shops that are a definite must visit. Remember, you are supporting a dream when you shop small. We truly do a happy dance every time we get an order. From the bottom of my heart, thank you for shopping small!